Solar water heaters, bio-mass boilers, and waste-to-energy gasification plants offer renewable alternatives for domestic heating and institutional electricity generation in the Middle East. Phoenix Energy of Safra, Lebanon has identified key energy-saving solutions suitable for the Lebanese and Middle Eastern consumers and institutions. The company presented these alternatives at Project Lebanon 2010 exhibition in Beirut in early June. Phoenix Energy formed an exclusive partnership with Itho, a leading European supplier of solar heating technologies, after evaluating solar water heating products available in the Middle East and North Africa (MENA). 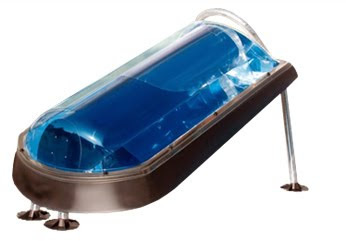 Itho, located in the Netherlands, "develops, produces, and sells indoor climate products for domestic purposes in Western Europe." Phoenix Energy now distributes the Solior FL 150 solar hot water system for domestic use. The Solior FL 150 is a simple, compact, and durable system, which combines a solar collector and a hot water tank. Easy to install, the system is placed on the roof and connected to conventional hot water appliances. The hot water heater operates year-round and requires an annual inspection. In Southern Europe in the Mediterranean region, the unit is estimated to cut energy consumption for providing hot water by as much as 70%. "The Lebanese Ministry of Environment has recently set a long-term objective to increase power generation from renewable resources to 12% by 2020, and Phoenix Energy supports this government strategy and policy. Lebanon is exposed to more than 3000 hours of sunlight annually, presenting an untapped resource for renewable energy. Rather than depending on fossil fuel energy, Lebanon has easy access to abundant sunlight. Solar water heaters from Phoenix Energy can contribute to this goal." The skyrocketing of diesel prices in 2008 also fueled Phoenix Energy’s search for more economic heating solutions. Company engineers turned to readily-available olive husks from local olive oil mills in Lebanon to fuel a bio-mass boiler. 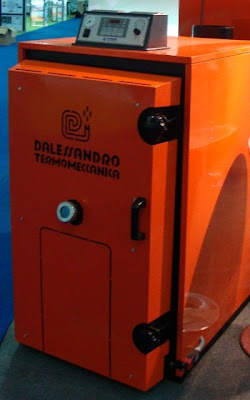 Phoenix Energy partnered with D’Alessandro Termomeccanica of Miglianico, Italy to distribute CSA model bio-mass boilers, which are developed and manufactured in Italy and which operate at 92% efficiency. Phoenix Energy is the exclusive agent for this product in the Middle East North Africa (MENA) region. With the tremendous problem waste poses to the environment, Phoenix Energy explored ways to recycle waste and transfer it into an energy source. The outcome has been the development of a waste-to-energy gasification plant. Phoenix Energy can provide any public or private institution with a turn-key gasification system that consumes up to 97% of its waste and transforms it into up to 3 MWh of electricity, 3% sterile ash, and emissions that meet European standards. In line with its mission, Phoenix Energy will continue to scout and analyze eco-friendly engineering solutions that allow local populations to reduce dependency on finite and harmful energy sources. Phoenix Energy is a sister company to Phoenix Machinery and a member company of INDEVCO Group, the Local Multinatinonal of the Middle East.